Mobile Wi-Fi HotSpot devices that allow you to connect a mobile-enabled device—such as a laptop, smartphone, or tablet—to the Internet are now available for checkout at the following Birmingham Public Library branches: Avondale, Central, Five Points West, North Birmingham, and Springville Road. The HotSpots are portable, so you can connect your device almost wherever you are, like at home, in the park, or on vacation. The National League of Cities explains the importance of this service. "These lending programs perform a critical role: in addition to providing basic broadband access to low-income residents, they allow patrons to access free e-books and other digital library resources, and they enable users to complete online job applications and perform other critical web-based processes at home. Outreach efforts are also aimed at the elderly and disabled, who often need access to healthcare information." For more information about checking out a Mobile HotSpot, visit or call one of the participating libraries. You may also reserve a Wi-Fi HotSpot devise online. Patron must be 21 years of age or older to checkout a Mobile HotSpot. A valid Jefferson County Library account and a current driver’s license, passport, or military photo ID must be presented at the time of checkout. Patron must be a Birmingham resident. Patron must be in good standing with the library, with a current address on file and no fines above $5. Mobile HotSpots may be checked out for one week with no renewals. 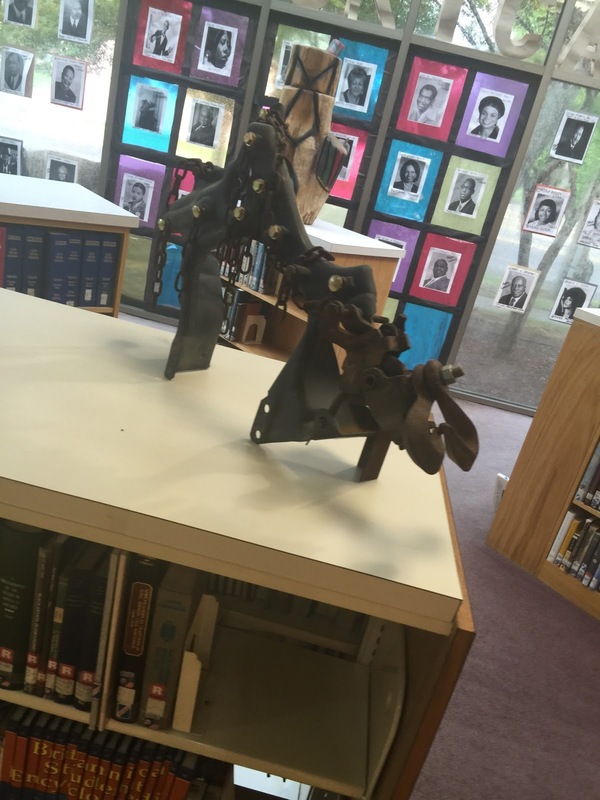 They must be returned to the owning library. Internet content filtering is not provided through the BPL Wireless HotSpot. Parents/guardians are responsible for monitoring what their children access via the BPL Wireless HotSpot. The overdue fine is $1 per day until returned. If you’ve only read, or watched, one art critic, there’s a good chance it’s Robert Hughes. Hughes is hugely entertaining. His Shock of the New, a grand sweeping historical commentary about modern art, was a best seller and became a PBS mini-series. He wrote similarly grand histories of Australia (The Fatal Shore) and Barcelona (Barcelona). With Goya Hughes focuses his wide ranging vision on a single artist, Jose de Goya y Lucientes, a regular guy we come to love and admire as we read, but whom we also come to recognize as a titan of western art. Goya was a working artist in a hard scrabble Spain of the late 1700s and early 1800s. His father was a gilder, who applied gold leaf, and as such Goya had some connection to professional artists. He apprenticed himself to a painter and worked his way up, taking commissions from the church and the wealthy just to get himself known, starting as a regular guy. What is striking is that his painting technique and style emerge fully mature in his earliest works. There were no museums and all the good art was out of sight in the palaces of the wealthy. Right away his glorious ceiling paintings in churches and his paintings of elaborately dressed youths frolicking in the woods go toe to toe with the work of Tiepolo and Watteau. And, as a worthy working artist of his time and place, he ultimately comes under the employ of the King, and designs tapestries and paints portraits of the wealthy and the powerful. And then, he becomes ill and goes deaf and his art becomes dark. As Goya recovered from illness he created his dark Caprichos, a series of prints exploring human depravity and madness. Out Hunting for Teeth, depicts a woman struggling to pull the teeth out of a corpse hanging from a noose. How They Pluck Her shows priests despoiling, nearly consuming, a maiden. And thus, arguably, modern art was born. Whereas nearly all art at had explored the themes of human beauty and wisdom, Goya, isolated in his deafness, began to depict the horrors at hand in a place where the inquisition remained frightening and powerful, and where the average life expectancy was just thirty years. The scenes of horror become much worse during the resistance to Napoleon’s occupation of Spain. His Nothing (he will say) depicts a rotting corpse and his Let the Rope Break depicts a vain priest performing on a tightrope above a ravenous crowd. A glowing resistance fighter in white, arms flung wide, like a Christ, welcomes the bullets of a firing squad in The Third of May. Tragically the horrors continue after the restoration of Spanish rule and Goya cannot turn his eyes away. As an old man, he exiles himself from his country and dies in France. Hughes asks, where are the artists today who create art of such power in opposition to our own horrors? Goya is enjoyable because of Hughes’ enjoyment and wonder at Goya’s art. He finds myriad telling details and connects the art to the personalities of the age. We can enjoy Hughes’ wonder in a different medium as well. 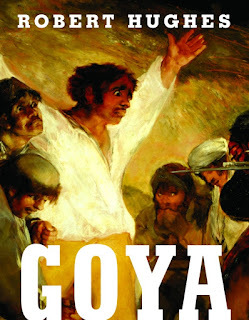 His video documentary Goya, Crazy Like a Genius is also available at the Birmingham Public Library. The library has other books on Goya’s work which contain more and larger reproductions of his work, including The World of Goya by D. B. Wyndham Lewis. Recourse to original records, in whatever form, assures the researcher that no one has tampered with the content or the physical construction of the record. 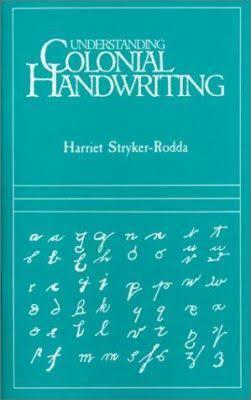 The changing styles of letter formation and the condition of the paper may present problems to the uninitiated. To analyze such a document we must understand its history, its purpose, its tools, even its scribe and his manner of writing. The mention of tools caught my attention—how often do we even now refer to a sort of small knife as a “pen knife” without remember that its original purpose was for trimming a quill pen? Good luck in your research, and happy deciphering! 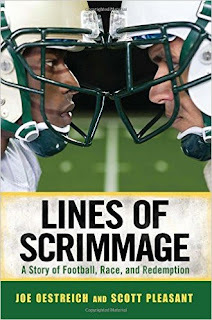 Author Scott Pleasant will discuss his book Lines of Scrimmage: A Story of Football, Race, and Redemption in the Story Castle at the Central Library on Tuesday, September 29, at 6:00 p.m.
Lines of Scrimmage tells the story of football in Conway, South Carolina, where fans fill the stands on fall Fridays to cheer on their local high school team. In 1989, with returning starter Carlos Hunt at quarterback, hopes were high that the beloved Tigers would win their first state championship. But during spring practice, Coach Chuck Jordan (who is white) benched Hunt (who is black) in favor of Mickey Wilson, an inexperienced white player. Seeing this demotion of the black quarterback as an example of the racism prevalent in football generally and in Conway specifically, 31 of the team's 37 black players—under the guidance of H. H. Singleton, pastor of Cherry Hill Missionary Baptist Church and president of the local NAACP—boycotted the team in protest. The season-long strike severed the town along racial lines as it became clear that the incident was about much more than football. It was about the legacy of slavery and segregation and Jim Crow and other points of tension and oppression that many people in Conway—and the South—had wrongly assumed were settled. While the 1989 season is long over, the story reverberates today. Chuck Jordan is still coaching at Conway High, and he's still without that state championship. Meanwhile, Mickey Wilson is now coaching Conway's fiercest rival, the Myrtle Beach Seahawks. In the annual Victory Bell Game between Conway and Myrtle Beach, the biggest contest of the year for both teams, a veteran coach and his young protégé compete against each other—against the backdrop of a racial conflict that bitterly divided a small southern town. 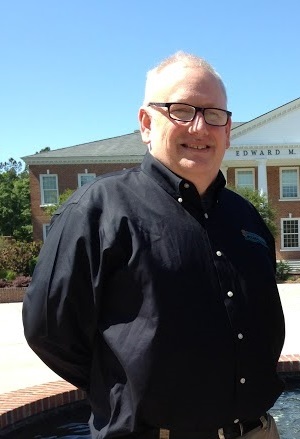 Scott Pleasant, co-author (with Joe Oestreich) of Lines of Scrimmage, has served as the Coordinator of the Coastal Carolina University Writing Center since 2010 and taught as a lecturer in the CCU English Department for six years. Scott earned his bachelor's and master's degrees in English at East Tennessee State University, and studied in the English Ph.D. program at Auburn University. Over a 25-year career, Scott has taught writing, literature, songwriting, research methods, English as a Second Language, and other courses at ETSU, Auburn, Coastal Carolina, and other schools. Copies of Lines of Scrimmage will be available for purchase and signing. Refreshments will be served. Peppi just moved to town and she’s starting at a new middle school. She knows that she can survive as long as she follows two cardinal rules: don’t get noticed by the mean kids and join a group of kids with similar interests. It seems pretty simple, but as you can imagine, it’s anything but. On her first day, Peppi trips on her own feet and falls in front of everyone in the hall. Now she’s on the mean kids’ radar! She reacts fast and does something that she will be ashamed of for weeks to come. She shoves the only kid who stops to help her, Jamie, a member of the Science Club. Peppi finds friends when she joins the Art Club and the mean kids leave her alone, but she is haunted by the way she treated Jamie. She is so ashamed that she doesn’t know how to apologize! It doesn’t help matters that the Art Club and Science Club are bitter rivals. To make matters more awkward, Peppi bombs her science homework and her teacher makes Jamie tutor her. Still, she is too shy to apologize and he’s too polite to bring it up. Through club rivalries and field trips, the two are constantly thrown together. When she wrecks her bike in front of Jamie’s house, she is finally able to work up the nerve to write an apology letter (She still can’t tell him in real life!) They establish a tentative friendship, but it’s hard to keep it going when their clubs are at war with each other. When the principal threatens to dissolve both clubs, it is up to Peppi and Jamie to find a solution. This is such a great graphic novel! 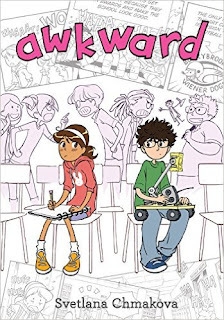 Middle schoolers will especially identify with Peppi’s shyness, and uncertainty. The situations in the book feel like they happened in real life. Heck, they remind me of something that happened to me in middle school. This book shows great character development without seeming forced and it touches on issues like divorce, bullying, and emotional abuse without seeming heavy-handed or preachy. There is even a section in the back where the author talks about her experience writing the book and growing up as an artsy kid. She also shows off her design gallery for all of the characters. This book was a lot of fun. It’s a great way for kids to learn that everyone goes through sticky social situations. While at school, Nick is approached by a classmate offering the latest fantasy role-playing game. It’s called Erebos, and it allows you to design your own character, join in group quests, and fight in battles in a lush fantasy setting. At first, he thinks it’s your average, run of the mill game—but soon, he’s hooked, obsessively gaming late into the night, plotting ways to gain new experience levels. When his character, Sarius, is mortally wounded in battle, all seems lost—until a sinister authority figure, the Messenger, offers his help. The Messenger promises to heal Sarius, on the condition that Nick performs a series of menial tasks—not within the game, but outside in the real world. At first, Nick thinks it’s harmless stuff. One day he’s instructed to leave an unmarked package under a bridge, the next day he’s told to take pictures of two strangers in their car. When one of his delivered packages turns out to contain something highly illegal, Nick gets scared. What is the purpose of Erebos, exactly? And more importantly—can it be stopped? As a reader, all I can say is that this international import is truly awesome. 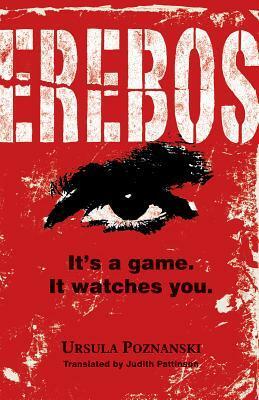 The sinisterness of the game is truly creepy, and the mystery of Erebos is intriguing enough to drive the story at a fast pace towards its thrilling conclusion. While this novel has the potential to be enjoyed by teens of any age and gender, it’s not completely fun and games. There are some dark moments in the story, including a scene where one character is accused of assault, and another where characters discuss a suicide that happened several years previous. There’s also some swearing and fantasy violence, but nothing graphic enough to mention. Overall, a thrilling novel, recommended for Ages 15-Up. 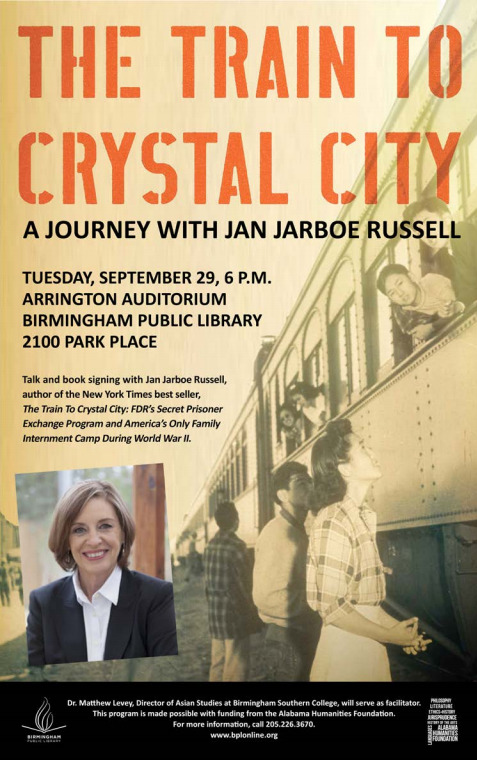 To commemorate the 70th anniversary of the end of World War II, the Birmingham Public Library (BPL) will host a talk and book signing by Jan Jarboe Russell, author of the New York Times bestseller The Train to Crystal City: FDR's Secret Prisoner Exchange Program and America's Only Family Internment Camp During World War II. The book was published this year to wide critical acclaim. The event will take place on Tuesday, September 29, 2015, from 6:00 to 7:30 p.m., in the Arrington Auditorium of the Central Library. The Train to Crystal City recounts the dramatic and never-before-told story of a secret FDR-approved American internment camp in Texas during World War II, where thousands of families—many U.S. citizens—were incarcerated. During World War II, between 1942 and 1945, secret government trains delivered over 6,000 civilians from the United States and Latin America to Crystal City, Texas, a small desert town at the southern tip of Texas. The trains carried Japanese, German, Italian immigrants and their American-born children. The only family internment camp during World War II, Crystal City was the center of a government prisoner exchange program called "quiet passage." During the course of the war, hundreds of prisoners in Crystal City, including their American-born children, were exchanged for other “more important” Americans—diplomats, businessmen, soldiers, physicians, and missionaries—behind enemy lines in Japan and Germany. The Train to Crystal City focuses on two American-born teenage girls incarcerated in an internment camp in Crystal City, where they lived as ready-made bargaining chips until being swapped for higher-esteemed Americans behind enemy lines in Japan and Germany. In the book, Russell details their families' subsequent journeys to war-devastated Germany and Japan, and their years-long attempt to survive and return to the United States. Combining big-picture World War II history with a little-known event in American history that has long been kept quiet, the book reveals the war-time hysteria against the Japanese and Germans in America and how the definition of American citizenship changed under the pressure of war. The facilitator for the program will be Matthew Levey, professor of history and director of Asian Studies at Birmingham Southern College. Russell’s visit is made possible by a grant from the Alabama Humanities Foundation, the state affiliate of the National Endowment for the Humanities. Haruyo Miyagawa, head of the Arts, Literature, and Sports Department at the Central Library, said the book is timely not only due to the 70th anniversary of the end of the Pacific War in World War II, but also because of today’s era of civil rights violations making headline news. Russell is currently a contributing editor for Texas Monthly magazine. A graduate of the University of Texas at Austin in 1972 with a BA in journalism, she has written for the New York Times, the San Antonio Express-News, Slate, and many other publications and won numerous awards. "Engrossing . . . Russell documents in chilling details a shocking story of national betrayal." "This is an informative, disturbing, and necessary reminder of the dangers produced by wartime hysteria." The Central Library will host a screening of the short documentary film Jesse “Speeks" on Monday, September 28, 2015, at 6:00 p.m. in the Arrington Auditorium. The idea for the 13-minute documentary began when writer and filmmaker Sonya Mitchell noticed a young man, Jesse Miller, joyously greeting all of the people he encountered at the Trussville YMCA. Intrigued by his behavior, Ms. Mitchell later learned that Jesse suffers from autism, a brain disorder that makes communicating and socializing with others difficult. Although originally intended to be a story about one exceptional autistic person, the documentary evolved into an awareness piece about autism. The documentary premiered at Birmingham’s Sidewalk Film Festival in August 2014. What exactly is autism? Described by the Autism Society of Alabama’s website, autism is a “brain disorder affecting communication and social interactions.” The signs often include repetitive behavior, impairments in communication both verbal and nonverbal, and socialization difficulties. What makes autism so difficult to diagnose and treat is that it is not a single disorder but rather a spectrum, which means that it affects different people in different ways. The health care community now uses the term “Autism Spectrum Disorder” (ASD) to describe the wide variety of autistic conditions. 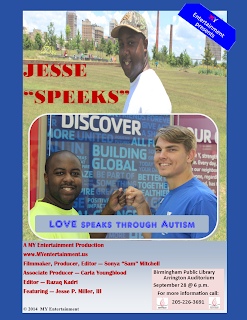 Books and DVDs about ASD are available in all of the public libraries in Jefferson County (http://encore.bham.lib.al.us/iii/encore/search/C__Sautism__Orightresult__U?lang=eng&suite=beta). 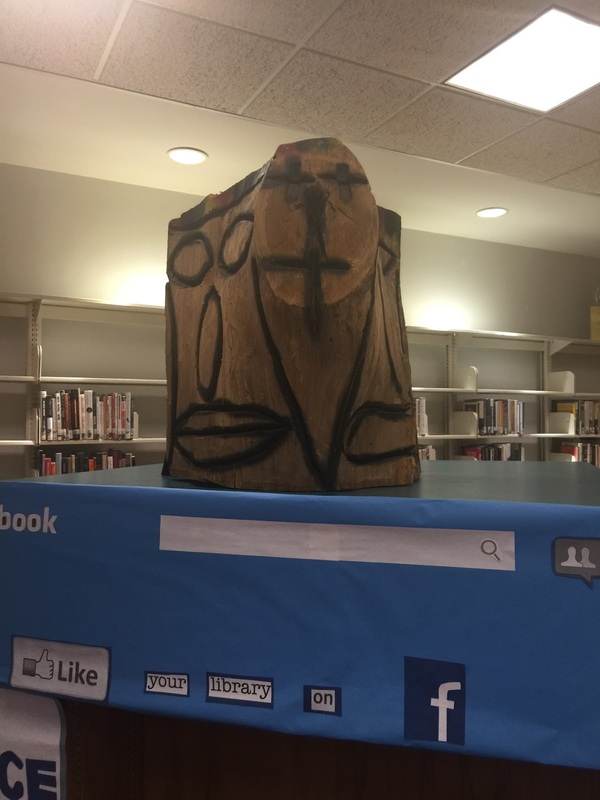 In 2014, more than 175 libraries and organizations from across the United States and Canada helped shift perceptions of libraries by participating in Outside the Lines, a week-long celebration of the creativity and innovation happening in libraries. 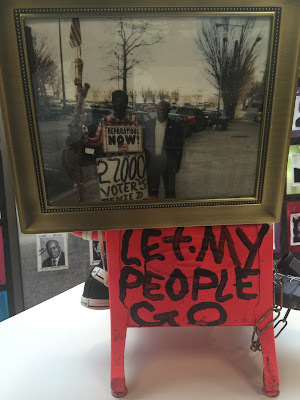 This year, the Birmingham Public Library (BPL) system’s 19 libraries are among hundreds participating in the 2015 Outside the Lines campaign to showcase the relevance and important roles libraries play throughout the city of Birmingham. BPL and the national Outside the Lines campaign launched Sunday, September 13, and concludes on Saturday, September 19. Citizens of Birmingham are encouraged to sign up for library cards at each of the 19 libraries in the city, said Angela Fisher Hall, director of the Birmingham Public Library system. Building upon the success of the initiative’s inaugural year, Outside the Lines aims to reintroduce libraries in Birmingham and across the U.S. and Canada, and how they continue to be dynamic centers for engagement and knowledge in our communities. 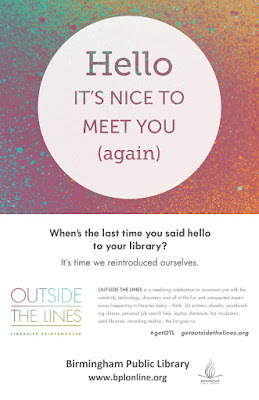 The Outside the Lines campaign initiative was designed by Colorado library marketers and directors to make sure libraries in that state “walk the walk”—taking action to show communities how important libraries are and how they’ve adapted to changing times. The concept soon spread to other libraries across the United States and Canada. To learn more about Outside the Lines, go to http://getoutsidethelines.org/. Registration is now open for staff and the public for the October 2015 Classes. During this month, we include our popular computer classes, as well as a variety of personal development classes. All classes are held in the Regional Library Computer Center (RLCC) of the Central (downtown) Library. PRE-REGISTRATION IS REQUIRED FOR ALL CLASSES. To register for any class, please email us at cenrtc@bham.lib.al.us or call 205-226-3681. 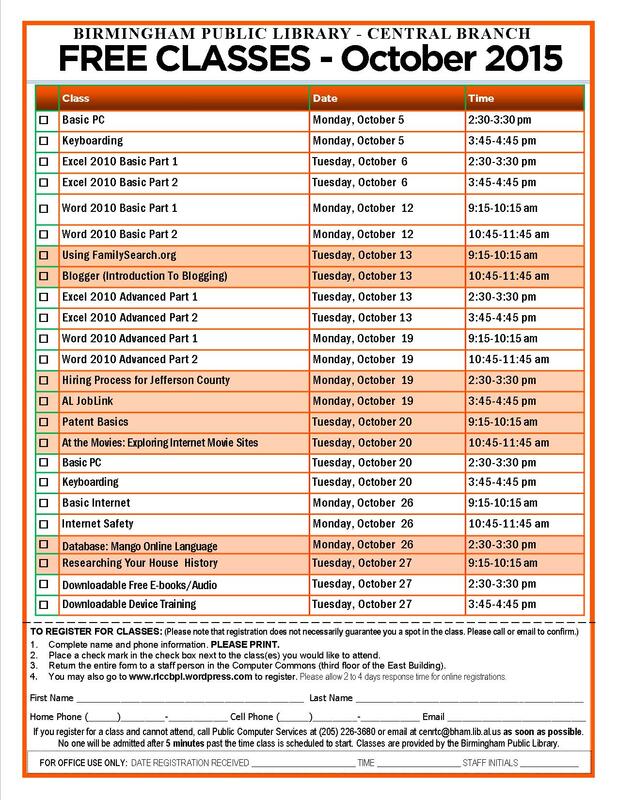 You may also download and print a pdf copy of the October 2015 Class Schedule to bring to a Computer Commons staff member on your next library visit. 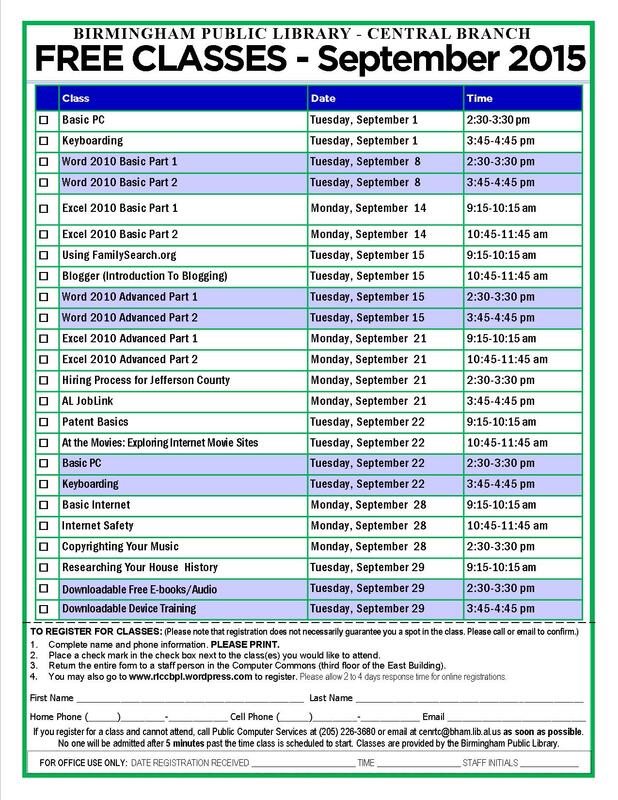 Please note that the October 2015 Class Schedule pdf can be sent to us as an email attachment. 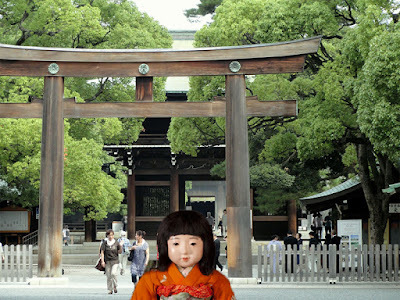 Here I am at the Meiji Jingu gate. Meiji Jingu is a Shinto shrine dating back to 1920! I'm giving thanks to my ancestors for my safe arrival. It is amazing how fast the trip was - the flight took about 12 hours! It took me 15 days to get from Yokohama to San Francisco via Honolulu back in 1927! The Birmingham Public Library (BPL), in partnership with the Birmingham Children’s Theatre (BCT) and Junior League of Birmingham (JLB), would like to invite you to attend From Page to Stage: The Reluctant Dragon – A Readers’ Theater Workshop for Children. In anticipation of the upcoming BCT performance of The Reluctant Dragon, BPL will be hosting free workshops at several of its area libraries. Children, aged 7 to 12, will learn how storybook characters come alive through the magic of theater. JLB members will coach the children and introduce them to similar literature located in their local library. Each child will receive two free tickets (one child and one adult ticket) to the BCT The Reluctant Dragon production in October 2015. We’ve all heard the classic tale; an evil dragon takes captive a damsel in distress while a brave knight is forced to fight him in a blaze of fire and storm but what if there’s more to it than that? 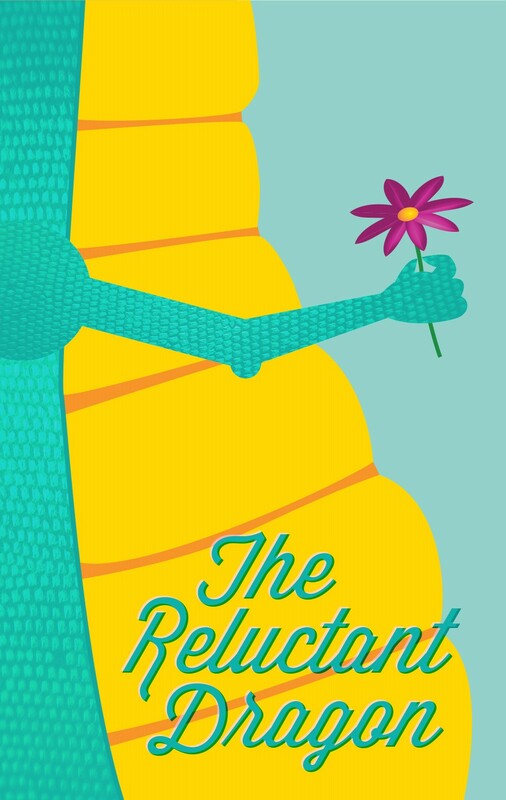 The Reluctant Dragon is a whimsical and imaginative tale about rethinking our own expectations and prejudices to learn that things are not always what they seem and, sometimes, dragons are better friends that foes. The Reluctant Dragon is based on a story by Kenneth Grahame. Avondale Regional Branch Library: Sunday, September 20, at 2:30 p.m.
Central Library: Sunday, September 27, at 2:30 p.m.
Five Points West Regional Branch Library: Sunday, September 20, at 2:30 p.m.
Pratt City Library: Saturday, September 19, at 2:30 p.m.
Southside Library: Saturday, September 26, at 2:30 p.m.
Springville Road Regional Branch Library: Sunday, September 27, at 2:30 p.m.
West End Library: Saturday, September 26, at 2:30 p.m.
Members of the Coffee, Conversation, and Crafts (CCC) group at the Springville Road Regional Branch Library have donated their materials, time, and talent to hand-quilt a beautiful full-size quilt. Members of the group are accepting donations of $1 (or 6 for $5) for the drawing on November 23. You do not have to be present to win. ALL proceeds will go to support adult programs at the Springville Road Library. It all started with a beautiful piece of fabric printed with the colorful Dresden Plates design. The quilters in the group didn’t want to cut it up, but they thought it was big enough and pretty enough to make a quilt to fit a full size bed. Someone donated batting, another brought some backing, and another brought in her floor frame. Quilting needles, thread, thimbles, scissors, and pins soon arrived, and before long, the group was happily quilting and chatting while they worked. 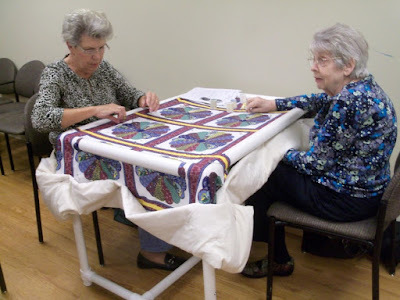 Those who were new to quilting were shown how to “rock” the needles to pick up multiple stitches, and how to tie tiny quilter’s knots that could be pulled through and concealed in the middle. They were also shown how to set the stitches small and straight, and how to add more thread without leaving a tail. 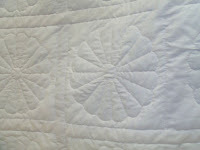 Some folks watched and some folks quilted, but everyone had a great time. Before too long, nearly everyone in CCC became interested in the progress and quite eager to see the end result, and a lot of us had a chance to try our hand at this practical domestic art and to be instructed by some of the best quilters in our region. At every meeting, a diligent group hand-stitched the layers together, then someone else took it home to bind and finish it. 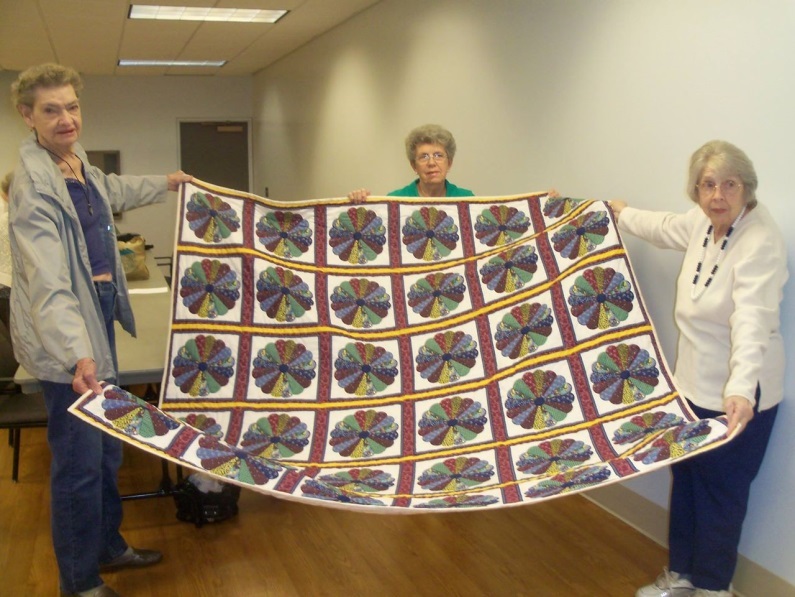 The result is lovely, and the quilt itself is on display in the Adult Department at the Springville Road Library. Every stitch in this quilt is hand-sewn. 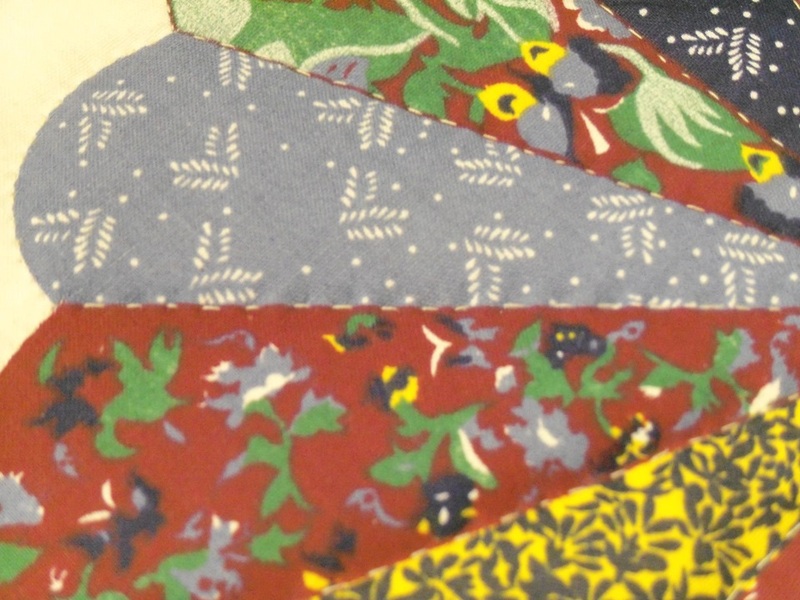 Each line of the print was covered to produce a quilt that will stay together no matter how well used. 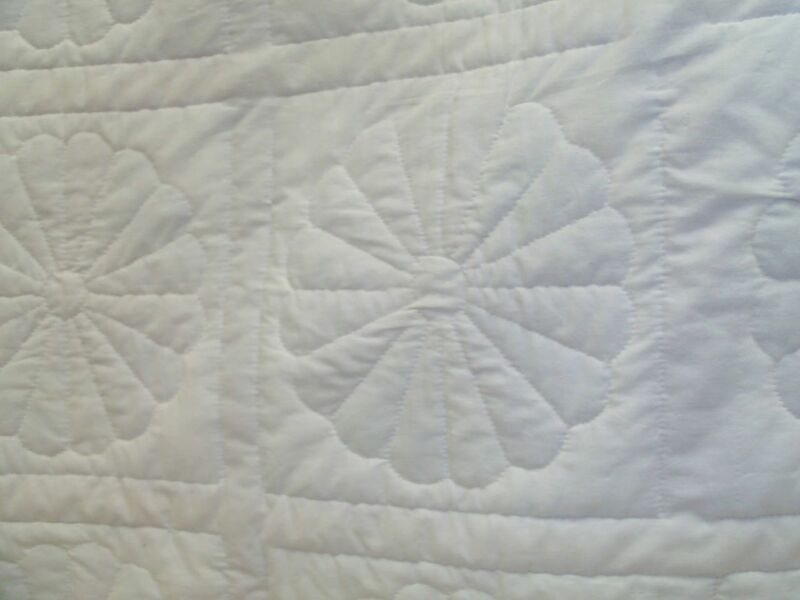 Since all stitches go through all layers, the design shows through on the back, making the quilt reversible. 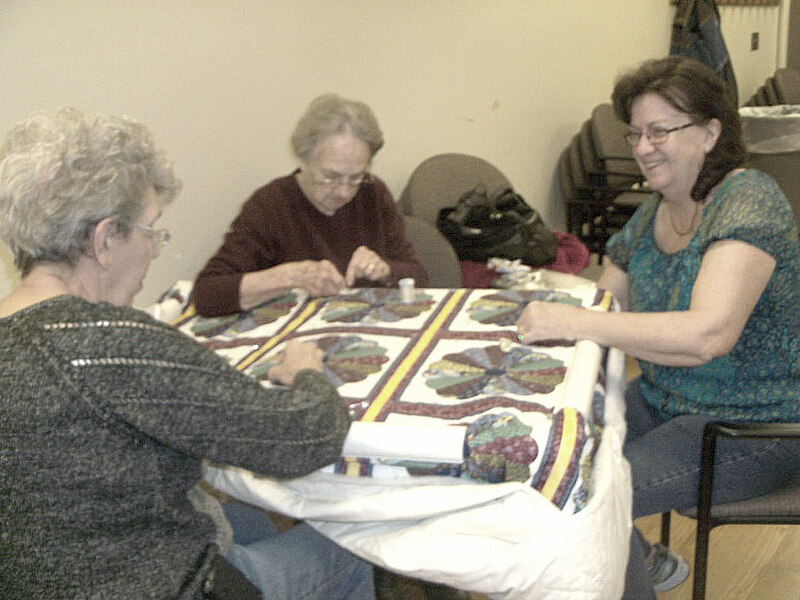 If you’d like more information about Coffee, Conversation and Crafts, or to find donation tickets for the quilt, please call Kelly Laney at Springville Road Library at 226-4083, or come join them at any of the meetings. The group meets every Monday from 11:00 a.m. to 1:00 p.m. to socialize, work together on crafts, and enjoy refreshments. Craft materials and instruction are supplied free, and participation in the day's craft project is not required. All adults are welcome and if you have a pet project you want to work on, bring it along. If you’ve ever wanted to learn how to crochet, knit, tat, quilt, loom knit, make jewelry, sew, make rugs, create plarn, make wreaths, or just about any other craft known to man, please come tap our “brain trust.” Someone in this group knows how to do just about everything, and they’re happy to pass along their knowledge to others! You are also invited to attend the 2nd Annual Craft Fair from 2:00 to 5:30 p.m. on Sunday, October 11. Members of the CCC and other local crafters will have lovely items for sale just in time for the holidays, and at very reasonable prices. Donation tickets for the Dresden Plate Quilt will also be available at the fair. The fair will be held outdoors in the library parking lot. A portion of the proceeds from each booth will go to support the adult programs at Springville Road Library. If you are a local crafter (or know someone who is), a limited number of spaces are available for $25 (or 10% of your sales, whichever is less). Tables cannot be provided for non-CCC members, but you’re welcome to bring your own. For more information, please call Kelly Laney at 226-4083. Deadline to register for a slot to sell crafts is October 5. Last month I reported on the wealth of music CDs in the Arts, Literature and Sports Department of the Central Library in a blog article called “Big Range of CDs at the Library.” Big range was an understatement. It’s a very wide range indeed, the Big Kahuna of the free CD world. Here are a few more CDs submitted, as Rod Serling would put it, for your approval. Not only one of the best CDs from Africa ever, but one of the best world music CDs of all time. I’ve been listening to it since the seventies. The mbira, or thumb piano, is a time-honored Sub-Saharan musical instrument. It’s handheld, played with your fingers which hit metal strips that are situated over a wooden sounding board. Other instruments accompany it on the disc. The cover photo of a mbira suggests a row of forks lined up side by side; the metal strips of the instrument look like the main body of forks. 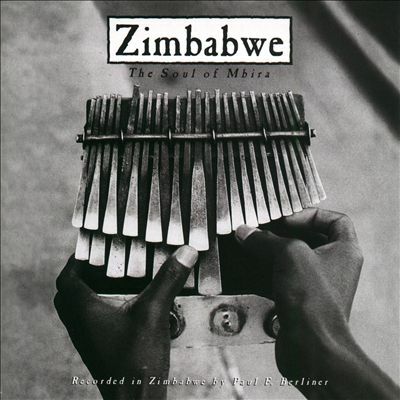 The mbira’s sound is rhythmical and celestial. In fact, if there’s any justice, angels will play these in addition to harps. Unlike that kind of harp music, The Soul Of Mbira will make you want to dance. Ultima Thule is a radically different place from Zimbabwe, and if you go back to Iceland’s Middle Ages, it’s of course even further removed. This is music with Viking sensibilities. Some of it’s pagan, some more Christian, some a product of the layering that every culture gets as religions and customs blend over the course of centuries. The sheer apartness of Iceland comes through in a powerful way on the record. 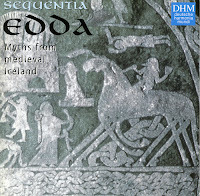 Medieval music specialists Sequentia (who always do a bang-up job in my experience) have preserved medieval characteristics such as wonder, myth-robustness, fear, and awe inherent in these myths. 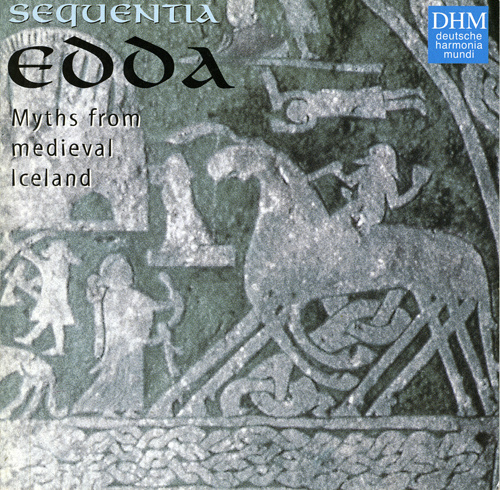 Medieval Iceland was a largely pre-scientific world that had its own effective artistic ways of dealing with the challenges of life. Sequentia revives this gestalt in a winning way. Authenticity is good, it’s important, but it’s not the be-all and end-all. 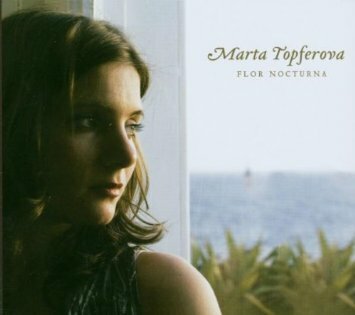 If you get too rigid about it, you’d miss out on Marta Topferova, a Czech-born, U.S.-based singer of Spanish-language songs. I’m very familiar with vocal music from the Spanish-speaking world, but far from an expert. I’m not Hispanic and don’t speak Spanish. But I know a good thing, and Topferova’s it. Not just good—excellent. Proof that you don’t have to be raised in a culture to do justice to that culture’s music. Exhibit A against authenticity-retentiveness. A wag once said that male chanting Tibetan monks sound like an 18-wheeler idling. They do at times. But an 18-wheeler won’t bliss you out. The monks will. 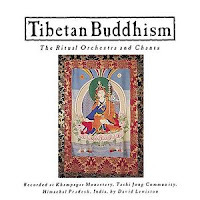 Then there’s the orchestra, which includes monks who play conch shells, shawms, short trumpets, and very long trumpets that have to rest on the ground and sound like a herd of vengeful elephants. If you get really involved in it, the chanting starts to sound like the background hum of the universe. Then the percussion and reeds come in to add punctuation or to overthrow everything and create a sonic cataclysm. The cosmos throbs along, stars explode, things get quiet, the cosmic humming resumes, eternity continues. That’s fairly Buddhist. When everyone was doing psychedelia in 1967, people thought it was the last word. 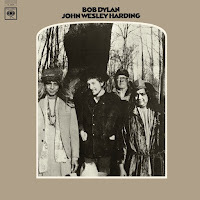 Then Dylan comes along at the end of the year and releases this, the most unpsychedelic album anyone could imagine. It quickly made almost all the Day-Glo sounds seem overdone and embarrassing. 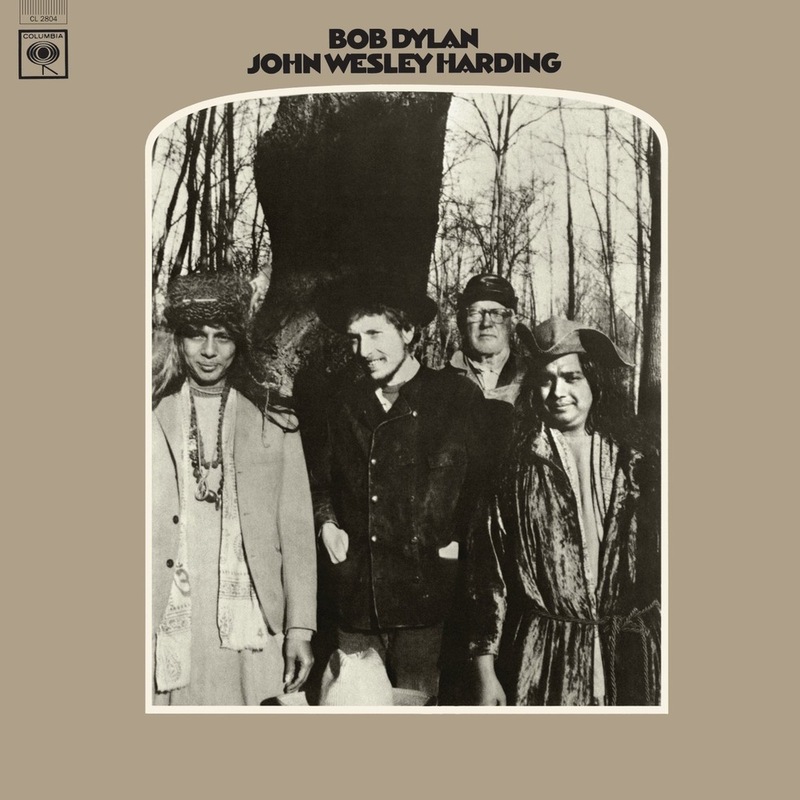 The last cut even sounded country and pointed toward 1969’s Nashville Skyline. Dylan’s never excelled at following trends. This isn’t one of his best-known or most popular records, but it’s one of his best. Plain-sounding songs that reveal themselves to be anything but plain in meaning, mystical visions, inscrutable but involving tales, existential dirges that can make you laugh. Hank Williams might’ve liked this had he been a generation younger and a more fully-fledged bohemian. He might’ve made it. It’s not at all dated and I’ll bet people will be listening to it a hundred years from now. On many days, I’d say this is the best rock or pop record ever made. The Beatles, transitioning from the richest teen-related pop ever to a more adult-focused orientation, made this, their first wholly adult-oriented album. It was here that rock could vie as art, two years before Sgt. Pepper, when most people thought it happened. This is highly-sophisticated music but it’s also a lot of fun. There’s never been a more singable or hummable Beatles record, nor one that’s more world-weary. Joyous, subversive, bitter, heartbreaking, glorious—you can come up with many superlatives, and it won’t be enough. How about unwearoutable? Another one they’ll be listening to a century from now. Joe Wade Minter Sr., born March 28, 1943, is a retired construction worker and a folk artist who has a half acre art garden titled “African Village," located on a vacant lot adjacent to his home at 912 Nassau Street near Shadow Lawn Memorial Park in the Woodland Park neighborhood. Over the years Minter has graciously donated his unique masterpieces to be displayed at Smithfield Branch Library. His most recent dotation is a design saluting Mr. Otis Jones, noted library patron and community activist. The Birmingham Public Library (BPL) is preparing to host the 2015 Watercolor Society of Alabama Annual Members Showcase. One of the many exhibitions the Central Library mounts each year, this display will feature nearly 60 aqua media works from artists across the state. The exhibition will open Sunday, September 20, and continue through Friday, October 30, 2015. It will be open for public viewing during the regular business hours in the Central Library's Fourth Floor Gallery. An award ceremony and opening reception will be held on Sunday, September 20, from 2:30 to 4:30 p.m. The event is free and open to the public. For information about the exhibition at BPL, please call 205-226-3670 or send e-mails to hm@bham.lib.al.us. Don Taylor will be the instructor for a watercolor workshop at Forstall Art Center, 402 Palisades Blvd. in Homewood, Alabama, September 17-19. The daily sessions will be held 9:30 a.m.-4:00 p.m. with a one-hour lunch break. There is a workshop fee. To register for the workshop or for more information, contact Charlotte McDavid, Watercolor Society of Alabama Annual Members Showcase director, at charsart@bellsouth.net. September 15 marks the 125th anniversary of Agatha Christie’s birth, and the occasion is the subject of celebration online and around the world. Agatha Christie didn’t invent the detective novel, but she made the genre her own. Dame Christie wrote more than 70 detective novels and short fiction, and created two of mystery readers’ most beloved sleuths: Belgian detective Hercule Poirot, with his luxuriant mustache and his “little gray cells”; and Miss Jane Marple, the sharp-eyed queen of the cozy mystery. Christie’s classic And Then There Were None remains the best-selling crime novel of all time, selling more than 100 million copies worldwide. Christie herself is the most widely published novelist of all time, in any genre or language—her combined works have sold more than 2 billion copies worldwide. She is, in fact, outsold by only Shakespeare and the Bible. Christie was a renowned and record-breaking playwright as well. Her play The Mousetrap, which opened in 1952 and ran for 21 years, still holds the record for the longest unbroken run in a London theater. The last public appearance in Christie’s extraordinary career was for the opening night of the play version of Murder on the Orient Express in 1974. 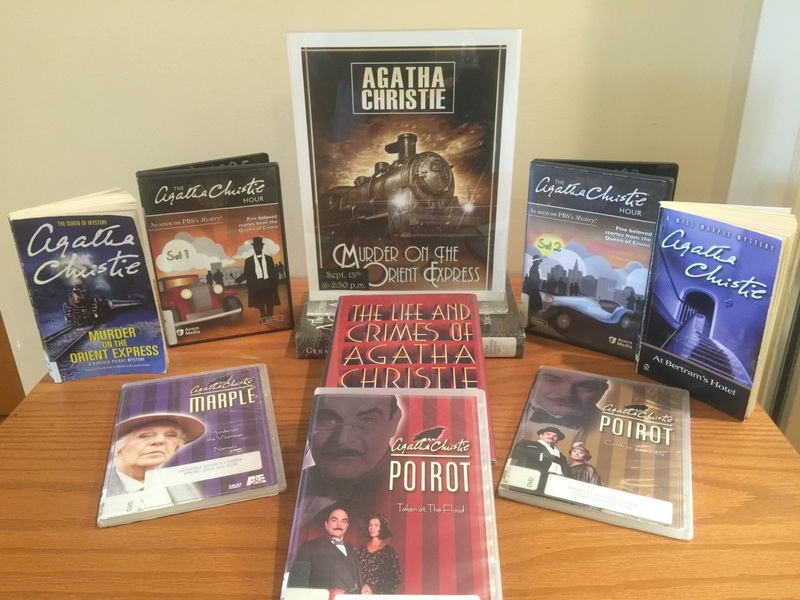 Avondale Library is commemorating the 125th anniversary with a special screening of a classic Agatha Christie film on Sunday, September 13, at 2:30 p.m.
Join the celebration: come see the film and/or check out works by and about Christie from your local library. Find out more about Agatha Christie and the global 125th anniversary celebrations at http://www.agathachristie.com/125th-anniversary/. The Birmingham Public Library is known for its robust offering of computer skills classes, and patrons desire new topics to help them continue on the path of lifelong learning. This September, one of our new classes is Using FamilySearch.org, which is a free genealogy website that connects you to resources to research your family history. In this class, you will learn how to locate genealogy resources, build your own family tree, and so much more. One of our favorite features is the memories page in which you can tell the story of your family using stories, photos, and audio. Here is a snapshot of Erik Erikson’s memory page, and you can create one similar to this for your family. Using FamilySearch.org will take place on Tuesday, September 15, from 9:15-10:15 a.m., in the Regional Learning Computer Center (RLCC) on the 4th floor of the Linn Henley building at Central Library. Our September classes cover a wide variety of topics including patent basics, blogging, researching your house history, Internet movie websites, and so much more, and you can check the schedule to find a class and time that works for you. There is something for everyone. Because we offer these classes in the RLCC, space is limited, so please call 205-226-3680 to register. See you soon! Smoke billows out the train’s stack, smothering a big Texas sky. The freight cars jolt, grind, and then squeal to a stop at the station. 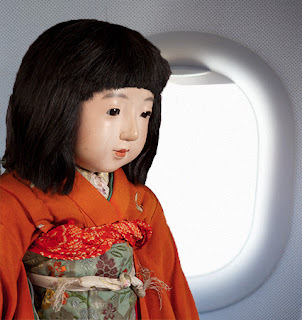 It’s 1942 in Crystal City, Texas, and the hundreds of Japanese, German, and Italian immigrant passengers that have just arrived aren’t clutching their children’s shoulders in anticipation of new prospects. They are, in fact, newly defined prisoners of war. Prisoners soon to be traded for better esteemed Americans behind enemy lines in Japan and Germany. Swap an immigrant and his American-born child for a diplomat, or maybe a doctor. Welcome to the “Quiet Passage,” a bleak moment of U.S. history during the darkest of times, World War II. 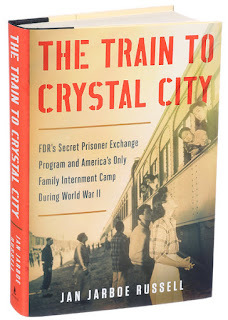 Author Jan Jarboe Russell opens the door to this secret passage in her New York Times bestselling book, The Train to Crystal City: FDR's Secret Prisoner Exchange Program and America's Only Family Internment Camp During World War II. And Russell’s got her own train to catch; next stop, Birmingham. Join Russell in a reading, discussion, and book signing on Tuesday, September 29, 2015, from 6:00 to 7:30 p.m., in the Arrington Auditorium of the Central Library as she uncovers the scandalous acts of a nation distrustful of its own citizens. The Train to Crystal City follows two American-born teens incarcerated in an internment camp in Crystal City, a small desert town at the southern tip of Texas. There, the girls live as ready-made bargaining chips, and they are swapped with higher-esteemed Americans behind enemy lines in Japan and Germany. The struggle with this betrayal is overshadowed with the struggle to survive in a foreign, war-torn country. For this book, Russell interviewed over 50 surviving Crystal City prisoners to find the truth in the tragedy. From 1942 to 1945, secret government trains delivered over 6,000 Japanese, German, and Italian immigrants and their American-born children to Crystal City. The internment camp continued to operate three years after the war had ended as government officials scratched their heads, wondering what to do with everyone inside. Families uprooted, loyalties broken, lives endangered overseas—a betrayal on a national scale. And after the war ends, how do you reconcile with a nation that turned against you? Join Jan Jarboe Russell on September 29 for a provocative reading and discussion about civil rights violations. 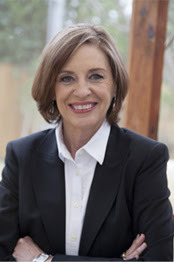 Jan Jarboe Russell is currently a contributing editor for Texas Monthly magazine. A graduate of the University of Texas at Austin in 1972 with a BA in journalism, she has written for the New York Times, the San Antonio Express-News, and many other publications, and won numerous awards. Visit Jan Jarboe Russell's Facebook page for more touring information. This event commemorates the 70th anniversary of the end of the Pacific War. For more information, visit Jan Jarboe Russell's call 205.226.3670. Just in time for several upcoming annual events, the Birmingham Public Library (BPL) has hired a new public relations director, as well as a circulation manager, for one of its larger regional libraries. Additionally, three full-time employees have been hired in other positions throughout the system. 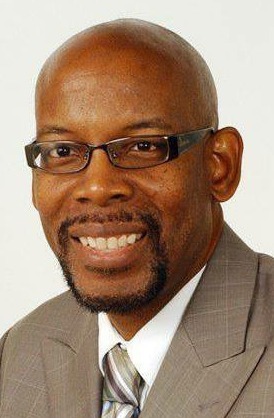 Roy L. Williams is a 27-year veteran journalist who now serves as public relations director for the BPL system. Prior to his selection for this position, Roy spent the previous six months with Starnes Publishing as a community reporter for the Hoover Sun and 280 Living. A native of Jacksonville, Alabama, and a graduate of Jacksonville State University, Roy received a bachelor's degree in English with a minor in communications. He began his early career at the Columbus Ledger-Enquirer in Columbus, Georgia, in January 1988 until joining the Birmingham News in December 1989. Roy's journalism honors include several Associated Press awards for reporting in Georgia and Alabama. Roy built a loyal following of readers, mostly as a business writer, during a nearly 23-year career at the Birmingham News until October 2012. He then spent 18 months as marketing director at Holy Family Cristo Rey Catholic High School in Birmingham before founding Williams Writing Solutions, a consulting firm whose clients included Alabama Congresswoman Terri Sewell. 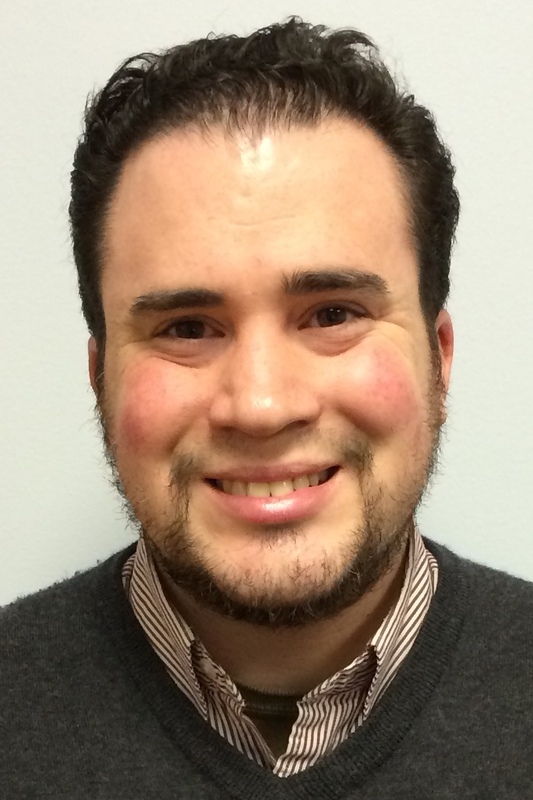 Samuel C. Rumore has been promoted to a position as the new Circulation Manager at BPL’s Springville Road Regional Branch Library. The Birmingham native graduated from the University of Montevallo with a bachelor’s degree in Sociology. Sam went on to receive a Master of Library and Information Studies (MLIS) from the University of Alabama (UA). He has worked for the BPL system for nine years in several capacities including a part-time Library Assistant III (LAIII) in the Business, Science and Technology Department at the Central Library, and a full-time LAIII in the Circulation Department at the Five Points West Regional Branch Library. Sam is a member of Central Alabama Mensa and a member of Beta Phi Mu—Beta Kappa Chapter at UA. He enjoys spending time with friends and family. When not at work, he enjoys reading, watching movies, and cooking. Martez Harris has worked for BPL in several capacities since 2007. He began his tenure as a part-time Library Assistant II working in the Information/Circulation Department at the Central Library and later at the Southside Branch Library. Wanting to work in the downtown area again, Martez transferred to the Central Library as a part-time Building Service Worker (BSW). Within a year’s time, he would be promoted to a full-time BSW position. Always looking to improve himself and his skills, Martez was promoted to a Library Courier position in the Central Library’s Page Room on August 22, 2015. Maurice Harley first came to BPL as a work-study student from the University of Alabama at Birmingham (UAB) in 2009. He later accepted a position as a part-time Library Assistant I in the Page Room at the Central Library, working in that area from 2010 until June 2013. After receiving a degree in Health Care from UAB, Maurice joined the Jefferson County Library Cooperative (renamed Public Libraries In Jefferson County) as a part-time Library Assistant III (LAIII) assigned to BPL’s Central Library in the Computer Commons. On August 22, 2015, Maurice began working in the same department as a full-time LAIII with BPL. Claire Stanton was promoted to a full-time Library Assistant III (LAIII) position at the Eastwood Branch Library on September 5, 2015. After receiving her BA in English from James Madison University in 2005, she moved to Alabama in 2010 for school, and started at BPL in April of 2011 as an LA I in the Southern History Department. In March 2013 Claire was promoted to an LA II in the same department. She received her MLIS from the University of Alabama in May of 2012. Claire worked continuously in Southern History until she was promoted to an LA III in the Youth Department in July of 2014, where she worked until she started the full-time LA III job at Eastwood in September of 2015. The Birmingham Public Library Youth Services Group is proud to host the 18th annual Children’s Event featuring David Stephens and All Hands Productions. From September 21-24, Stephens will present the puppet production, The Reluctant Dragon, at 12 BPL locations. The schedule is listed below. Friendship and understanding are at the heart of this tale about a princess and a dragon who chance to meet inside the palace walls. When seen as a threat by the king, the renowned dragon slayer is instructed to fight the dragon. Loosely based on the book by Kenneth Grahame, All Hands Productions’ version of The Reluctant Dragon utilizes colorful moving-mouth hand puppets and rod puppets to tell this engaging story. The production is suitable for audiences of all ages. David Stephens is the creator of All Hands Productions, a puppet company, that for over a decade has been dedicated to developing and presenting quality puppet theatre for audiences of all ages. His work has received a UNIMa-USA (Union Internationale de la Marionette) Citation of Excellence and has been awarded a Jim Henson Foundation Family Grant. In addition to creating original works, Stephens has been a puppeteer for the Jim Henson Company and a Muppet performer on Sesame Street. Central Library – 10:00 a.m.
Inglenook Branch Library – 3:30 p.m.
Five Points West Regional Branch Library – 6:30 p.m.
Powderly Branch Library – 10:00 a.m.
Ensley Branch Library – 3:30 p.m.
Avondale Regional Branch Library – 6:30 p.m.
Springville Road Regional Branch Library – 10:00 a.m.
North Avondale Branch Library – 1:30 p.m.
North Birmingham Regional Branch Library – 4:00 p.m.
Titusville Branch Library – 10:00 a.m.
West End Branch Library – 4:00 p.m.
Would you like to enhance your computer skills, but don't have time to attend a class? Maybe you could attend a class, but there are no free classes available on your topic. You can learn a variety of software programs at your own pace using LearningExpress Library. This database offers a variety of popular software tutorials at the basic, intermediate, and advanced levels. Among the available software tutorials are Adobe Illustrator and Photoshop, Microsoft (2007, 2010, 2013) Access, Excel, Outlook, PowerPoint, and Word, as well as Windows 7, 8 and Mac OS X. If you registered for your library card at a Birmingham Public Library location, the software tutorials can be accessed from home using your library card. You can also access the tutorials from home if you set up your LearningExpress Library account at a BPL location. Choose LearningExpress Library, then type in your name and library card number. Once you enter the database, click on register to create a username (e-mail address) and password. If you already have an account, click on login. Choose the tab for Computer Skills, then click on Popular Software Tools. Choose a tutorial under the headings listed in the left column and you are ready to get started. Taking courses on these software programs can be very expensive. A local search for introductory Excel 2010 courses revealed costs as high as $299 for a one-day class. Birmingham Public Library patrons can access these software courses at no cost through LearningExpress Library. See how much your library card is worth! Due to popularity, books and DVDs on these topics are often checked out. The checkout period is limited in order to make the material available to as many patrons as possible. With LearningExpress Library, there is no need to meet a specific class schedule or reserve material that is checked out. You access the database at your convenience and decide how quickly to move through the material. In addition to software tutorials, LearningExpress Library provides a wealth of other resources. These include test preparation for civil service exams, ACT, SAT, and ASVAB preparation, resume assistance, GED preparation, and many other wonderful resources that you have to see to believe. Any Jefferson County library card can be used to access these areas. LearningExpress Library saves you time and money while allowing you to learn at your own pace. 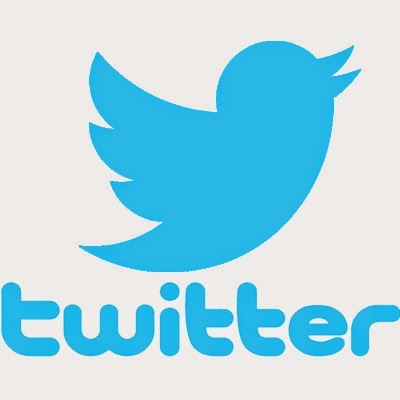 Please take advantage of this excellent database and all the information it has to offer. My mother retired this year and has told me that she values experiences now and doesn’t want or need to accumulate a lot of “stuff.” So early this month, I asked her what she wanted for her birthday. Her response was, “I want an English style tea in a real tea room.” You have to understand that my mother and I love British mysteries, dramas, and comedies, and tea is featured in many of them. I think this, and her love of Downton Abbey, made her want this experience. So, being a dutiful daughter, I got out my tablet and started looking for places that served traditional English tea in the Birmingham area. I found the TownHouse Tea Shoppe only 30 minutes away in Mt. Laurel and called for a reservation for three (we wanted to take a friend with us). Tea is by reservation only in the summer on Thursdays through Saturdays from 2:00 to 4:00 p.m. The owners, Rebekah Mills and Darlene Self, were very kind and gracious and explained the menu. The basic tea was $18.95 per person and included a scone, three tea sandwiches, three sweets, and fruit. 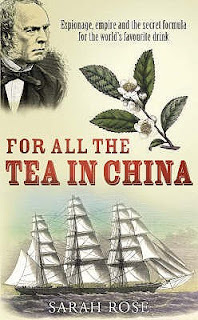 The pot of tea which comes in two sizes, small or large, is a separate price. They have a very extensive menu of teas which include variations of black, white, green, and herbal teas. If you don’t really like hot tea, you can have iced tea or juice. We thought we wouldn’t have enough to eat so my mother and I ordered the basic tea plus a cup of soup. We really should have listened to Darlene who assured us that the basic tea would be enough. We were too full to eat the sweets and had to take them with us. My mother had a great experience and enjoyed herself. The food was delicious and the tea room was beautiful. We left knowing that we would come back again. We had such a wonderful experience at The TownHouse Tea Shoppe that I thought highlighting resources for afternoon tea and pastries would encourage you to try tea at home and when you get a chance, visit a place that serves afternoon tea. 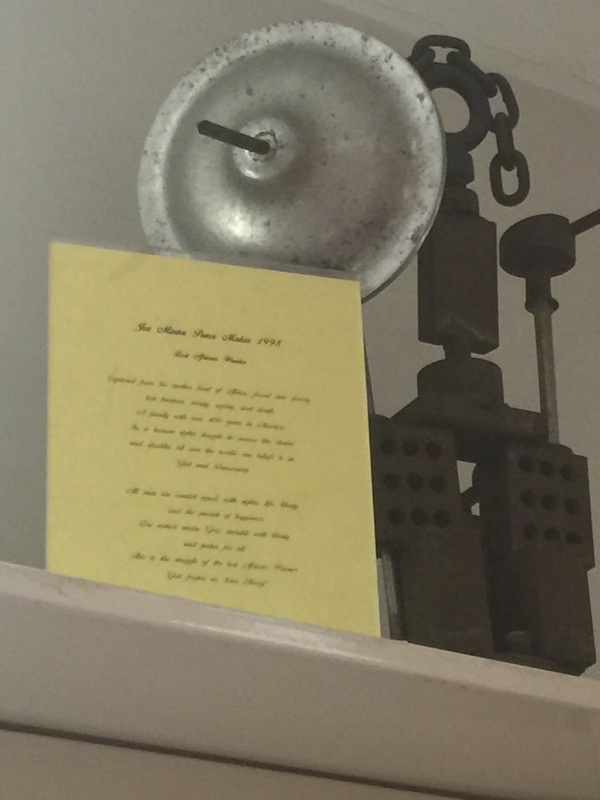 I contacted Rebekah at The TownHouse Tea Shoppe and asked for a recipe to post in this blog article. She agreed to let me post her grandmother’s recipe for Lemon Tea Cake. Grandmother Prosser's Lemon Tea Cake is really easy to make. My grandfather was a blacksmith with the railroad and was very active in their church. He was also notorious for inviting everybody home with him for dinner. Grandmother was a great cook and very practical and fast. This is one of my favorite recipes. Directions: Combine dry ingredients. Add wet ingredients one at a time beginning with whole milk. Mix well. Place in 8" X 8" glass baking dish. Bake at 325 degrees F for about 15-22 minutes, depending on your oven. When you take the cake out of the oven, immediately ice with lemon glaze. Poke holes in the cake with a fork immediately after you take the cake from the oven. Pour your freshly made glaze over hot cake. 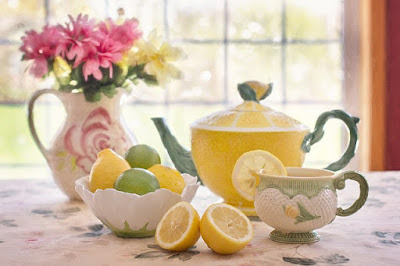 I hope you enjoy your tea with Grandmother Prosser’s Lemon Tea Cake. Everyone, while I'm going back to Japan, I'm going to be sending you virtual postcards from my trip. The above says haikei - that's how we start letters in Japan. It's like saying "Dear." I've been living at the Birmingham Public Library for 87 years. That's a long time, so I'm going back to Japan to get a makeover! Mr. Masaru Aoki from the Yoshitoku Doll Company in Tokyo came to get me, and he will be taking good care of me on the trip. I'll be sending new postcards from different places in Japan each week here on the blog, Facebook, Twitter, and Tumblr! Here I am looking out the window of an airplane as I begin my journey! Attention families with children ages 3-5! 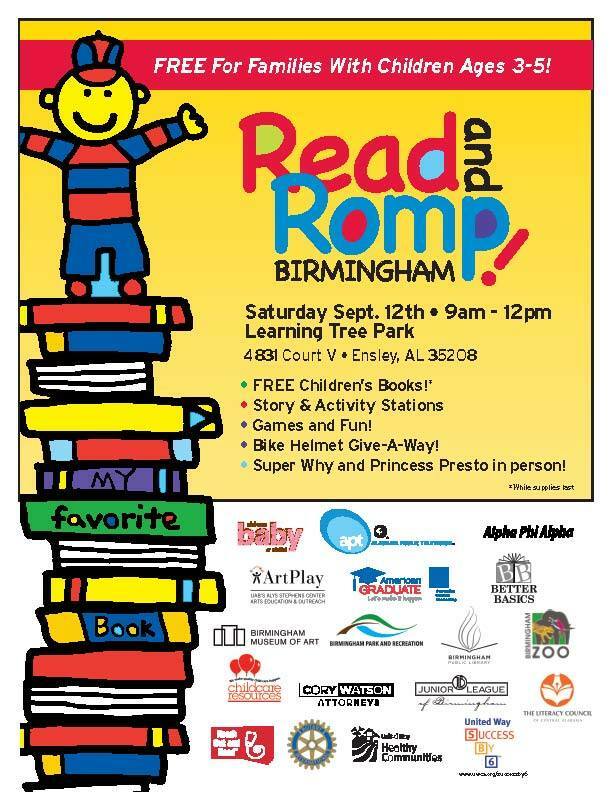 It’s time for Read and Romp Birmingham! Come and celebrate an exciting and FREE literacy event for families with small children. Join us on Saturday, September 12, from 9:00 a.m.-12:00 p.m., at Learning Tree Park (beside Five Points West Regional Branch Library). Kids are invited to join us for fun, learning-based activities inspired by children’s books. Each station will be staffed by organizations and businesses that are child-focused, providing families an opportunity to learn about activities that will enhance the development of their children. This year we have some amazing organizations that will be manning our stations. Among those are the Birmingham Zoo, ArtPlay, Birmingham Museum of Art, Alabama Public Television. the Birmingham Public Library (of course! ), and many more! 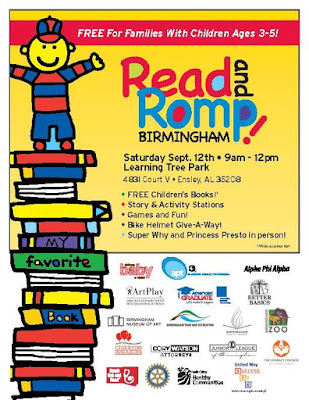 The Birmingham Public Library is a lead partner at Read and Romp Birmingham and will have fun, engaging activities centered around the book I Stink by Kate McMullan. Our friends from Corey Watson Attorneys will be providing free bicycle helmets to the first 250 children through their Helmets for Kids program. The Junior League of Birmingham will be present with their Yummy Van, a kitchen on wheels aimed at teaching about healthy foods. The Birmingham Fire Department will offer children an opportunity to visit their Safety House. Two costumed characters, Super Shy and Princess Presto from the PBS show The Reading Adventures of Super Why, will be present for meet and greet opportunities. These are just a few of the many opportunities available for families attending the Read and Romp Birmingham event. Participants will leave the event with goodies they have created or earned by completing each station. By associating fun-filled activities with reading, parents will learn ways to engage with their child on the life-long journey of learning at an early age, which will help increase their children’s success in school. The first 400 families completing the activities at each station will receive a bag of FREE brand-new books. For more information visit the Read and Romp Birmingham 2015 Facebook page.